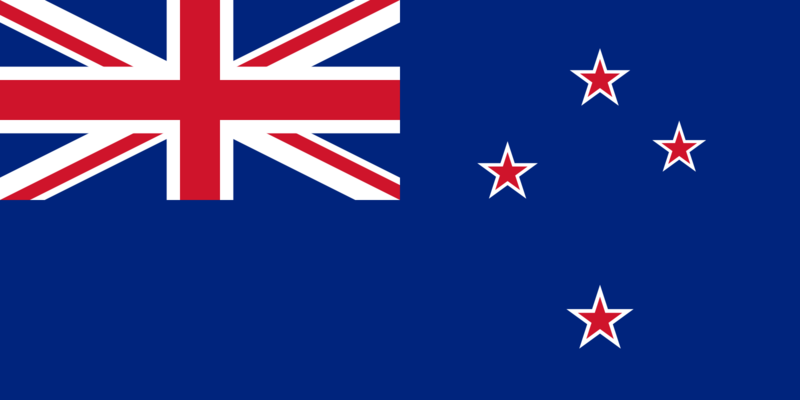 New Zealand’s first flag, the flag of the United Tribes of New Zealand, was adopted in 1834, six years before New Zealand became a British colony following the signing of the Treaty of Waitangi in 1840. Chosen by an assembly of Māori chiefs at Waitangi in 1834, the flag was of a St George’s Cross with another cross in the canton containing four stars on a blue field. After the formation of the colony in 1840, British ensigns began to be used. The current flag was designed and adopted for use on Colonial ships in 1869, was quickly adopted as New Zealand’s national flag, and given statutory recognition in 1902. For several decades there has been debate about changing the flag. In 2016, a two-stage binding referendum on a flag change took place with voting on the second final stage closing on 24 March. In this referendum, the country voted to keep the existing flag. The four stars’ pattern represents the Southern Cross, symbolizing New Zealand’s location in the South Pacific Ocean.